Through the University of Cincinnati's Cooperative Learning Experience Program, I have been fortunate enough to work in many different industries and on a broad range of products. I have had many incredible learning experiences and although I am unable to show most of this work online, I would love to discuss this with you further. Shark Biotelemetry Research: Working at the Juncture of Marine Science, Movement Ecology and Animal Behavior. Lea Pollack is a PhD student studying behavioral responses to environmental change. 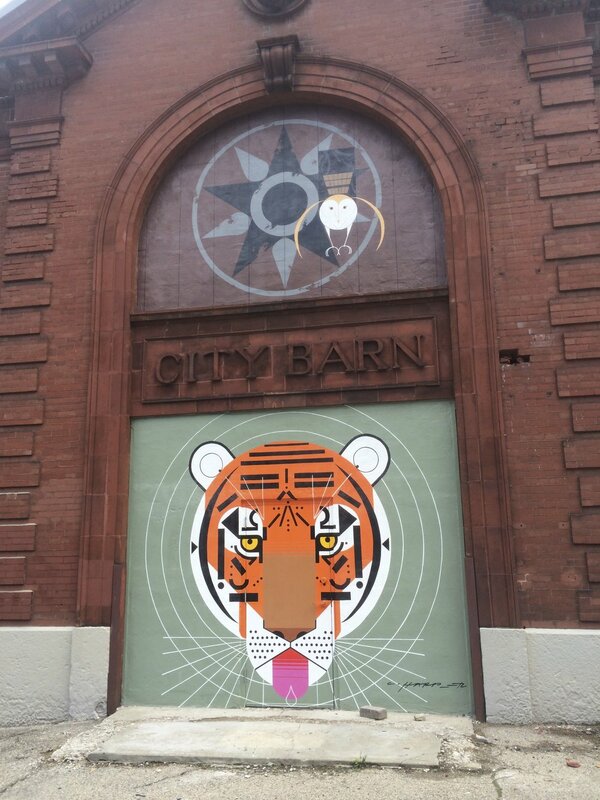 I spent the summer of 2014 working with fifteen apprentices and two leaders, collectively painting eighteen mini-murals on the City Barn inspired by a local Cincinnati artist, Charley Harper.